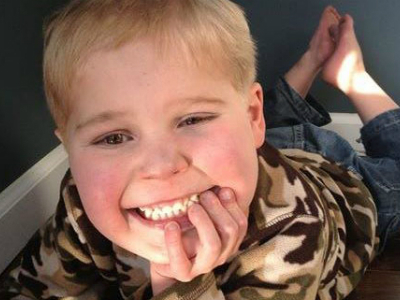 Ryan was born with a rare condition -- his heart developed outside his body. Find out how Children's doctors worked together to help Ryan thrive. Hypoplastic left heart syndrome (HLHS) is a combination of several abnormalities of the heart and great blood vessels. It is a congenital (present at birth) syndrome, meaning that the heart defects occur due to underdevelopment of sections of the fetal heart beginning during the first eight weeks of pregnancy. Last year, our team performed 10 HLHS palliations with 100 percent survival. In the normal heart, oxygen-poor (blue) blood returns to the right atrium from the body, travels to the right ventricle, then is pumped through the pulmonary artery into the lungs where it receives oxygen. Oxygen-rich (red) blood returns to the left atrium from the lungs, passes into the left ventricle, and then is pumped out to the body through the aorta. Mitral valve. The valve that controls blood flow between the left atrium and left ventricle in the heart. Left ventricle. The lower left-hand chamber of the heart. It receives oxygen-rich (red) blood from the left atrium and pumps it into the aorta, which takes the blood to the body. The left ventricle must be strong and muscular in order to pump enough blood to the body to meet its requirements. Aortic valve. The valve that regulates blood flow from the heart into the aorta. Aorta. The largest artery in the body and the primary blood vessel leading from the heart to the body. Hypoplastic left heart syndrome occurs in 2 to 3 out of every 10,000 live births or 1 in every 4,344 babies born in the U.S. each year. HLHS occurs slightly more often in boys than in girls. At Children’s National, we plan treatments with your child’s long-term health in mind. If a newborn needs heart surgery, we intervene early and aggressively to correct defects. This way, the repair or reconstruction grows with your child and he or she benefits from a faster recovery. This approach is called early primary repair. When children need open heart surgery, we often need to place them on a cardiopulmonary bypass machine. During the surgery, the bypass machine takes over the function of the lungs and heart. This can carry a risk of neurological damage. At Children’s National, our team takes every step possible to protect your child’s brain development. In fact, we are considered a leader in this area. 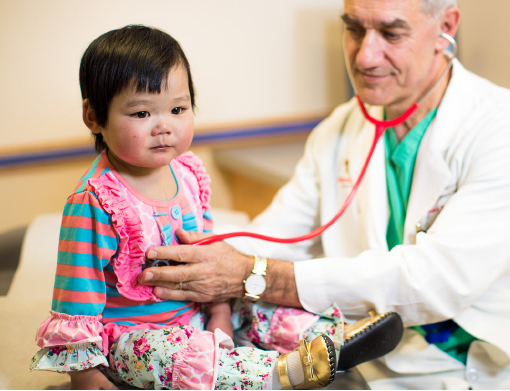 Our heart specialists use evidence-based protective measures and take all the necessary steps to ensure a successful surgery—for your child’s heart and brain. Our goal is to maximize the quality of our patients’ lives and ease the stress on families. Children’s National Heart Institute provides many family-centered services because we understand that when a child is ill, it affects the entire family. Preoperative diagnosis. We pinpoint your child’s exact condition. An accurate diagnosis is crucial in order to tailor a personalized treatment plan. Learn more about cardiac imaging. Pediatric cardiac intensivists and cardiac critical care nurses and therapists provide the next stage of care in our Cardiac Intensive Care Unit. After a Cardiac ICU stay, we transfer your child to a dedicated cardiac unit with specially trained cardiac physicians and advanced practice nurse practitioners. During the recovery period, we perform tests to ensure the success of the procedure. Next steps. If your child needs any type of post-surgery therapy or other care, we plan for that and discuss the next steps with you. For more information, call us at 1-202-476-2811. Our pediatric heart surgery team performs twice the number of surgeries of any other hospital in the region, with some of the best outcomes in the nation. Children’s National consistently has some of the best outcomes in the country. Ian was born with a heart that was not fully formed. It was a serious condition that affects blood flow, now 10 years old, his days of surgery are past and dreams of knocking it out of the park are well within reach.